Northwest Golf History Didn't Start With the 2015 US Open. Alexander Baillie. No true Scotsman would let a little thing like the forest primeval stand in the way of the Royal & Ancient Game! 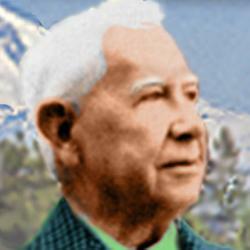 Pioneer golfer Alexander Baillie was born in 1859 in Brechin, Angus, Scotland. He left Brechin at age 21 after graduating from the country's oldest college, the University of St. Andrews, known as the birthplace of golf. Baillie emigrated to the United States to seek his fortune. He brought his golf clubs, and the rest is history. He was a founder of the first golf and country club in the region, Tacoma Country and Golf Club, after more than a dozen fellow Scotsmen at Tacoma's Balfour Guthrie Company needed something to remind them of home. At 35, Baillie became TC&GC's first president. In 1894, Baillie created the first golf course west of the Mississippi, a nine-hole course on 280 acres in what is now South Tacoma. It was only the fourth course in the United States at that time. But the Tacoma location didn't last long. The course was moved in 1905 to its current location on American Lake to be closer to the estates of the well-to-do of the region. Members paid $250 to join the exclusive club. It was a place to make business deals, entertain dignitaries, and enjoy rounds of golf. Baillie died at his home on Gravelly Lake on September 7, 1949, just two days short of his 90th birthday and a year after the Tacoma Country and Golf Club held a banquet in his honor that drew 150 guests in October, 1948.